Hi. 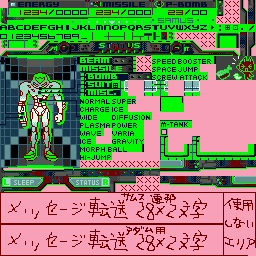 I'm trying to translate Metroid Fusion, in particular things which weren't handled in the official european releases of the game. Also, tools being used: MAGE, HxD, NLZ-GBA, Tile Molester, and mGBA.